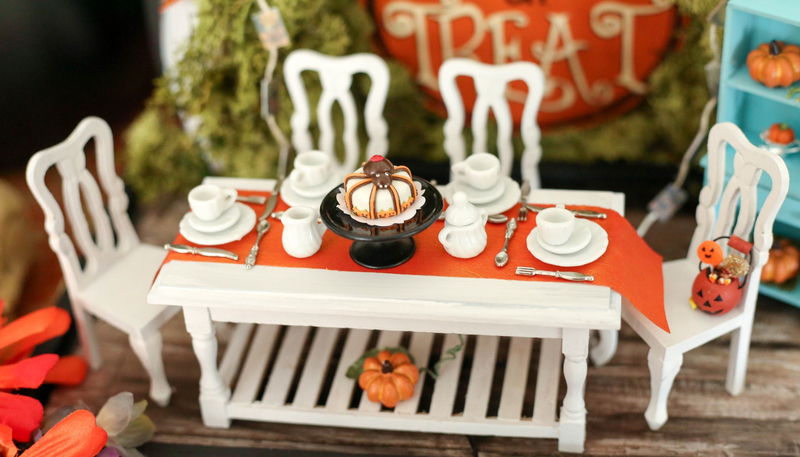 A tiny Halloween party with miniature pumpkins and Halloween desserts, and Halloween decorations galore is a delightful seasonal decorative piece that’s a beautifully detailed conversation starter. Event planning is my passion, but did you also know I have a major obsession with tiny things? It’s true! I love miniature creations, and designing tiny scenes with them. 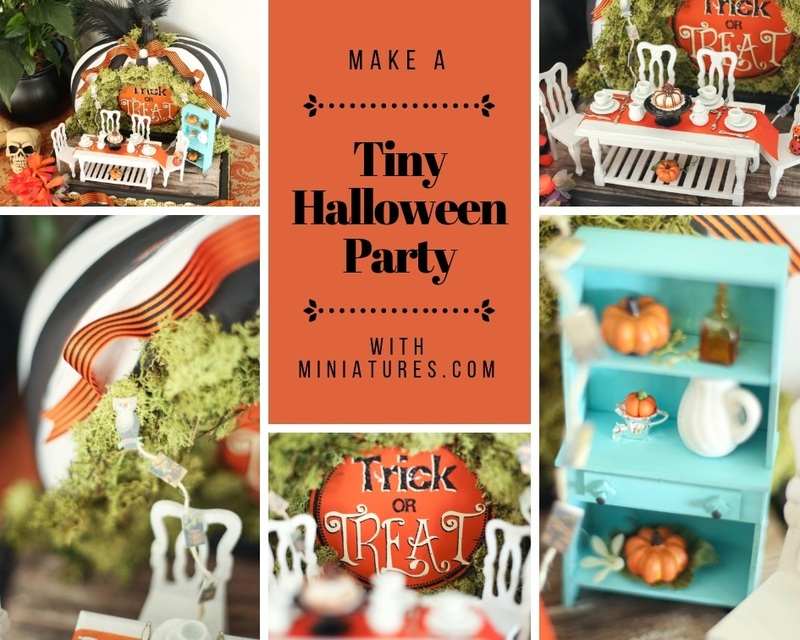 I’ve partnered with Miniatures.com to bring you this adorably tiny Halloween party with miniature pumpkins and Halloween desserts. 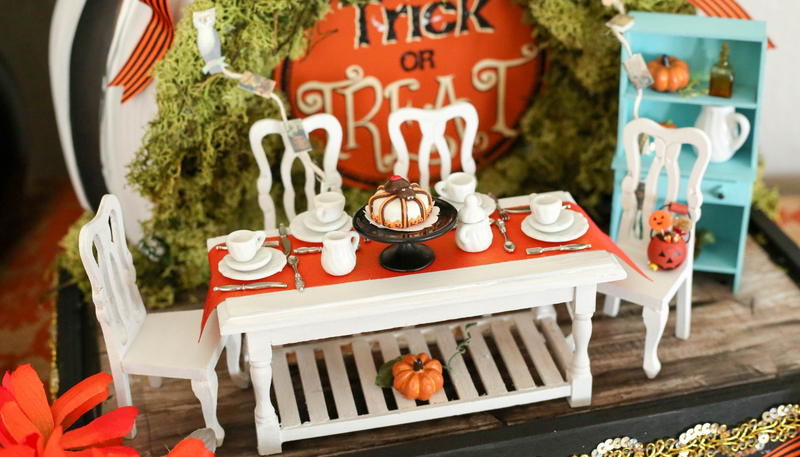 I thought it would be so much fun to create a tiny Halloween party, and I love how it turned out. It took about two hours from start to finish. If you’d like to make one too, I’ve provided all the details here. It’s an intermediate level project. You can also skip ahead to see the finished project if you just can’t wait! 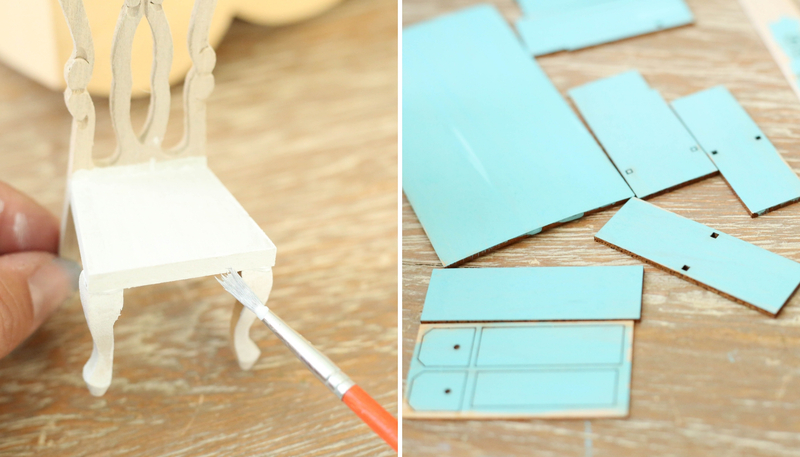 I started by painting the chairs, table and crafter’s hutch. 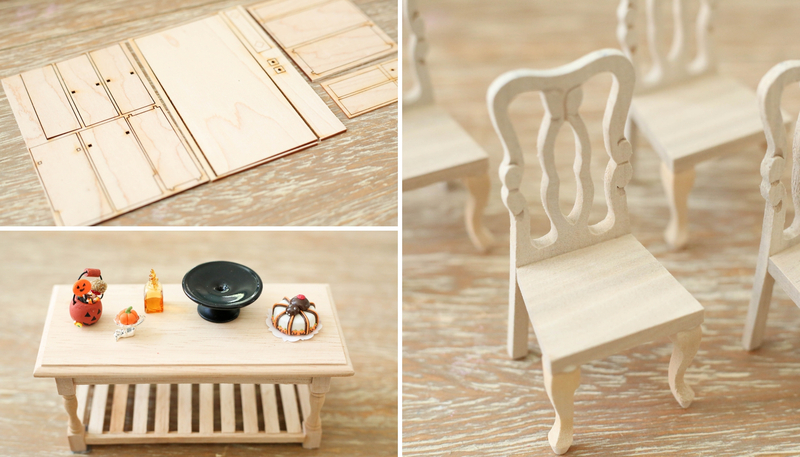 These small pieces are beautifully detailed, and easy to work with. The crafter’s hutch assembled in minutes with ease. 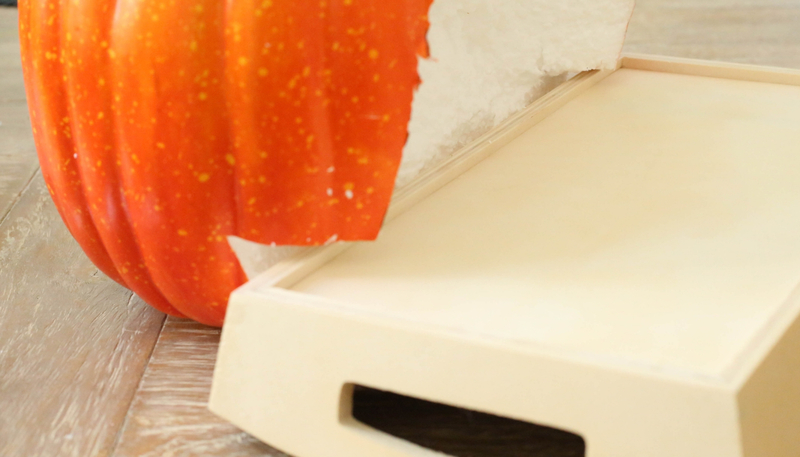 Trim the foam pumpkin using a craft knife, so that it rests on the edge of the wood tray, as shown. Carve out a hollow into the pumpkin so that you have a nice concave area. 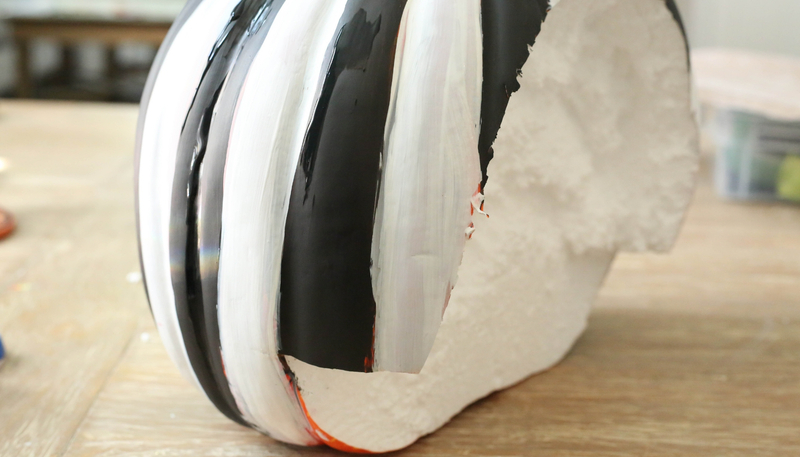 Paint the pumpkin with festive Halloween stripes using the black and white acrylic paint. Don’t forget the stem! 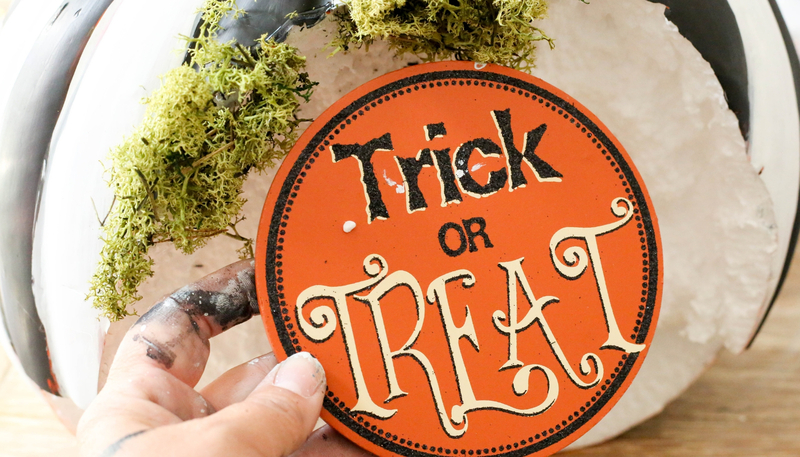 Begin adhering reindeer moss to the edges of the foam pumpkin where you’ve cut, and if you like, mount a cute Halloween sign inside. I found this one at my local craft store for less than two dollars. 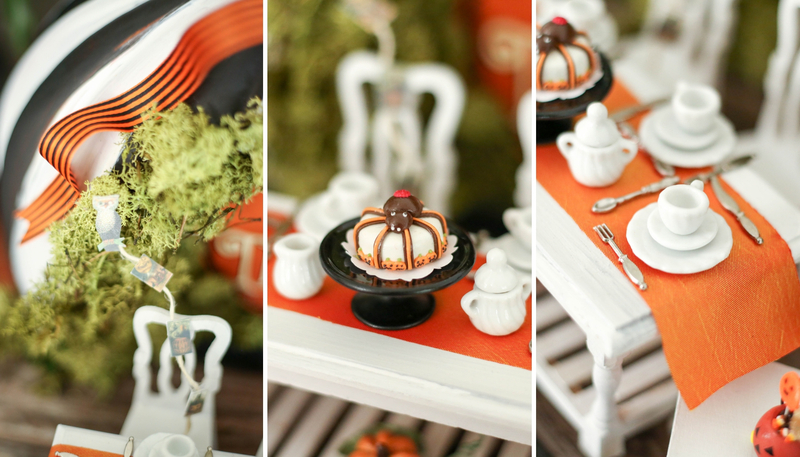 Set the table and chairs up, then add dishes, and of course, an adorable Spider Cake! A strip of taffeta serves as a perfectly elegant table runner for this diminutive holiday scene. 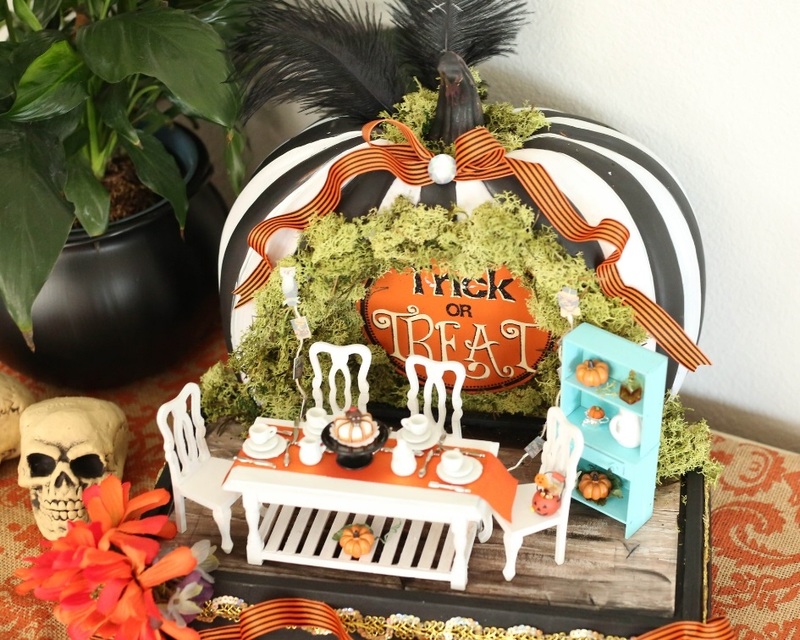 One of my favorite pieces for this cute and tiny Halloween party is the Jack O’ Lantern filled with tiny candy. The candy corn pieces inside the pumpkin pail are impossibly and artfully small. I can’t imagine the painstaking process that it takes to create such detailed pieces! 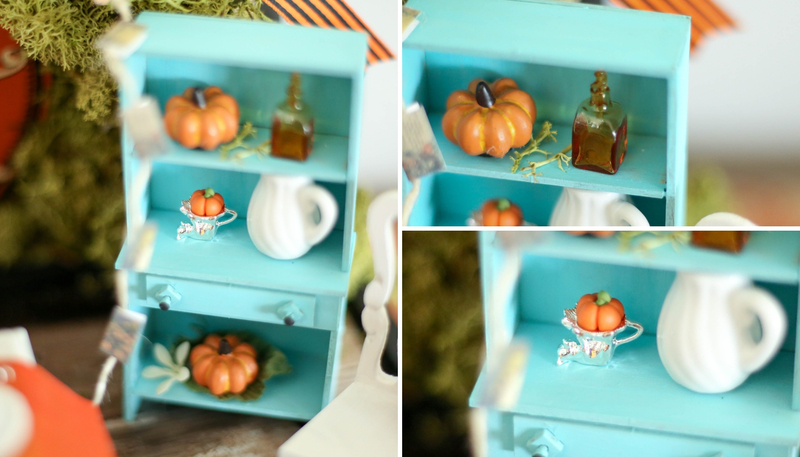 Other favorites are the Amber Hexagon Jar and this adorable cat and pumpkin display. They stand out beautifully against the dusty teal color of the Crafter’s Hutch. The outer portion of the wood tray is decorated with Halloween ribbon and gold sequined trim for added sparkle. Faux flowers in a bright orange shade add a vibrant pop of color to the piece. 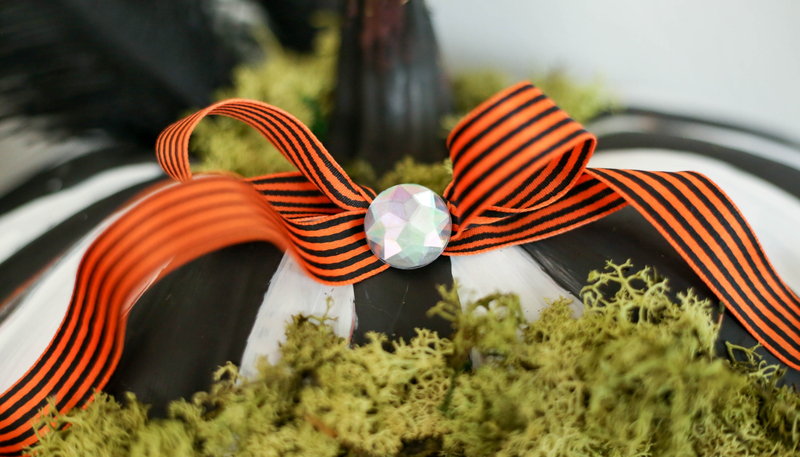 An acrylic gem and additional reindeer moss adorn the stem, as well as two elegant black ostrich feathers. 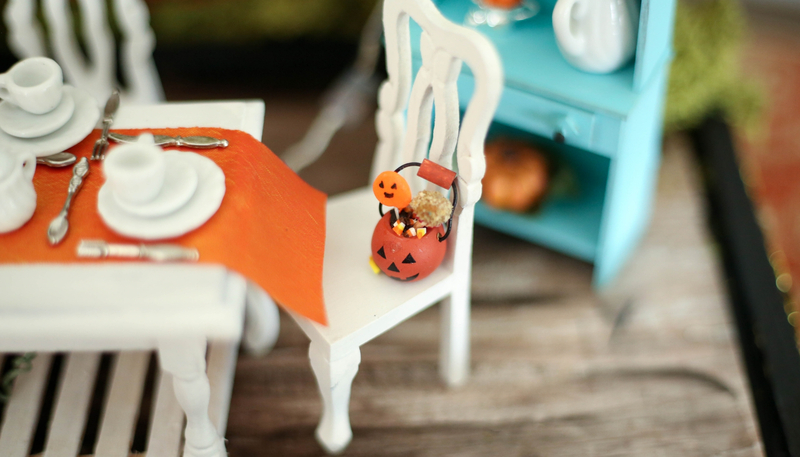 I hope you’ve enjoyed taking a peek behind the scenes of tiny party planning with me! Hope you have a happy Halloween preparation season, and take time to celebrate everything. Shop the look at Miniatures.com!